Mendiants are one of my favorite chocolates to make because they are easy, delicious and versatile. Mendiants are bite-sized chocolate rounds that are topped with dried fruits, nuts and other goodies – rather like a bite sized candy bar. I make them for many different occasions throughout the year, and I use white, milk and dark chocolate depending on what type of treat I am in the mood for. 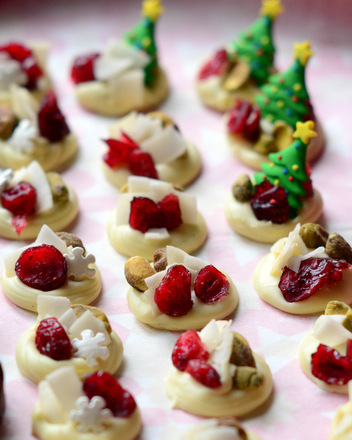 TheseÂ Vanilla Bean Holiday Mendiants are ideal for a Christmas treat. The bite-sized chocolates are easy to make and have a fun, colorful look that is perfect for holiday celebrations. The chocolates start out with good quality white chocolate. High quality white chocolate is made with only cocoa butter – no other vegetable fats of any kind – and it tastes like fresh cream and vanilla. White chocolate is sweet, but good white chocolate is also very delicious and quite well-balanced. I always use Callebaut white chocolate, but you can get excellent white chocolate from Lindt and other chocolate-makers, as well. Trader Joe’s has good quality white chocolate chips that are both budget-friendly and tasty that will work well in this recipe, too. Many white chocolate chips/white baking morsels sold in the baking aisle are not real white chocolate so check the labels before buying them. I scraped a vanilla bean into the chocolate to give it a beautiful speckled look and to amplify the flavor of the vanilla that is already in the chocolate. To make mendiants, you must work withÂ tempered chocolate. Tempered chocolate isÂ very glossy, has a firm finish (often described as a “snap”) and melts smoothly in your mouth. It also sets up quickly when youâ€™re working with it and requires no refrigeration. Untempered chocolate takes a very long time to set up (and often must be set in the fridge) and, because of that, it is likely to developÂ a whitish â€œbloomâ€Â on the surface instead of having a clean, shiny finish. You can findÂ my instructions on how to temper chocolateÂ hereÂ to walk you through the process. It is easier than you might think, and you’ll find yourself making delicious chocolate treats a lot more often. 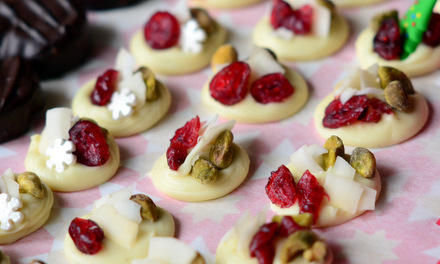 I topped my white chocolate discs with bright red dried cranberries, thick pieces of toasted coconut and roasted, salted pistachios. This trio gave the candies a very Christmasy red, white and green color scheme. The flavors also work very well together, as the creamy vanilla white chocolate is a perfect base for sweet-tart berries and salted nuts.Â To some of the chocolates, I added Christmas tree icing sugar decorations – part of a line of seasonal cupcake toppers made by Wilton (they have lots of other shapes, as well) – to make the candies look even more colorful. 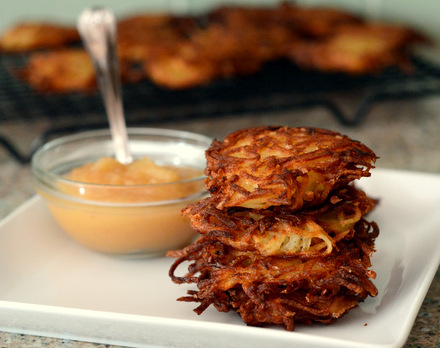 Â Feel free to get creative with these – there is no wrong way to finish them off! Unlike baked goods, these chocolate ship extremely well (as long as it’s not too hot outside!) and are are great choice for holiday gift giving. I recently sent off a batch to my friend Sues, at We Are Not Martha, as a holiday treat! If you decide to pack up your batch, be sure keep these in a single-layer so that none of the toppings get knocked off, and use padding to keep them from getting knocked around during shipping. 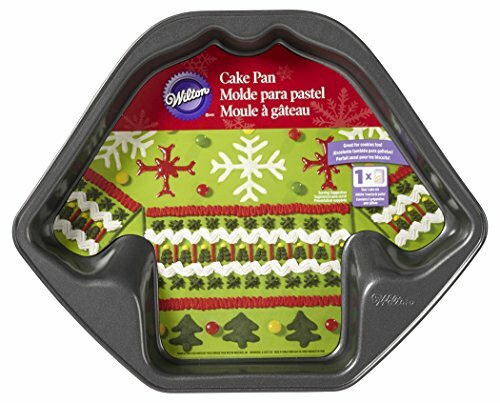 This is especially true if you decide to use icing decorations, like my little Christmas trees, because they can be quite fragile if not handled with care. 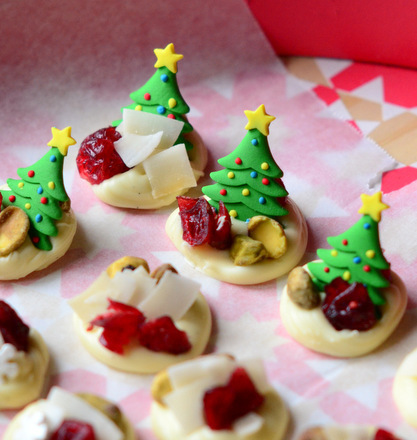 Place your dried cranberries, toasted coconut and pistachios in small bowls near your parchment-lined baking sheets. They will need to be applied quickly after you pipe your chocolate. Split the vanilla bean and scrape out the seeds into your melted and tempered white chocolate. Stir to combine. Pour tempered chocolate into a piping bag or large ziploc bag. Snip a very small hole as a tip in the bag and pipe rounds of chocolate about 3/4-inch in diameter onto prepared parchment paper. Pipe only 4-6 mendiants at a time and add your red, white and green toppings, as well as icing sugar decorations, to them as you go. Tempered chocolate will set up quickly, in about 3-5 minutes. Repeat with remaining chocolate until all of it has been used up. Chocolates should be stored in a single-layer until ready to serve. Makes about 4 dozen, depending on the size of the candies. Wow, these are speaking my language! A lot of flavors that make my mouth happy are going on here. I can’t say I never had a mendiant but they sound fantastic! These look so pretty! Love how they turned out. Don’t you just love those little Christmas trees?